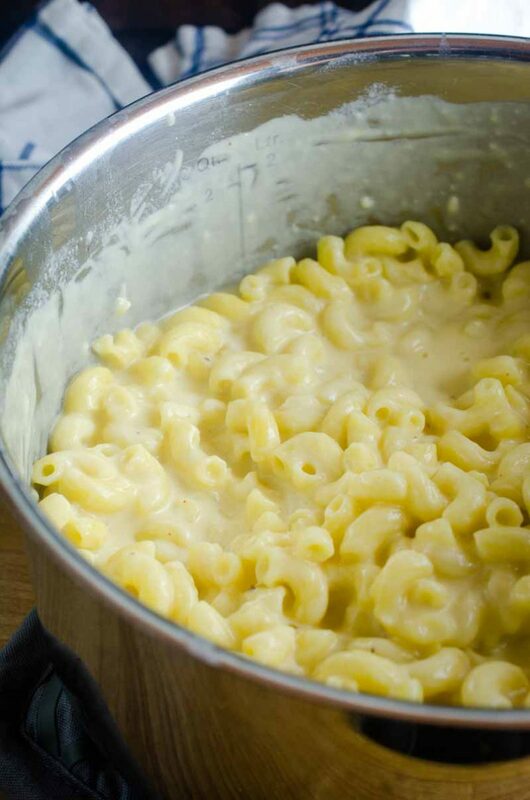 The Best Stovetop Mac and Cheese is made with three different cheeses and done on the stovetop. 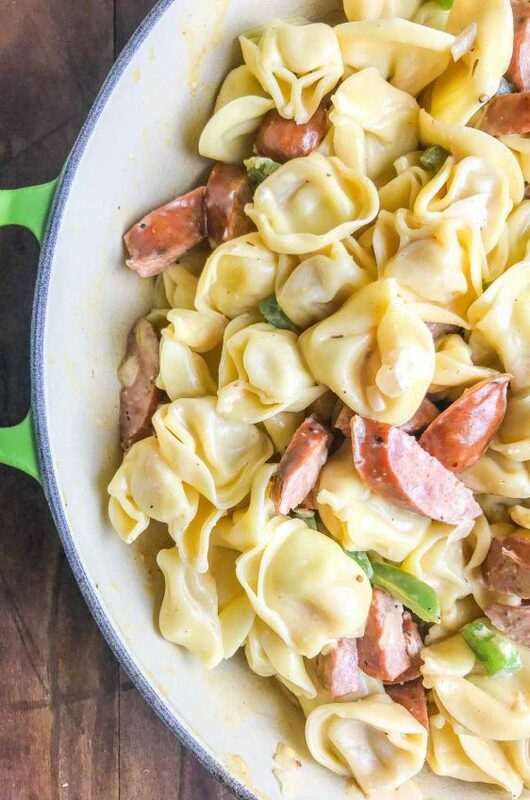 It’s creamy, cheesy and destined to be a family favorite! 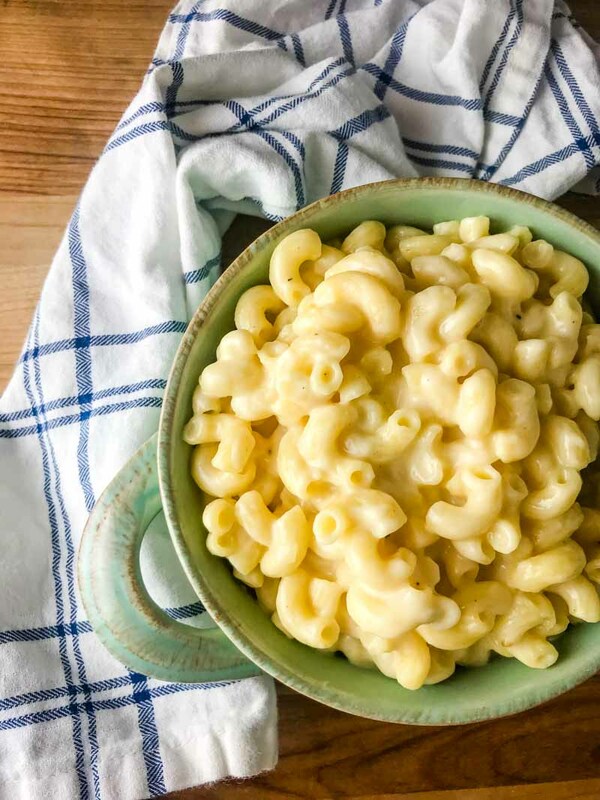 If mashed potatoes are my favorite comfort food side dish, it is safe to say that macaroni and cheese runs a close second. I’m not talking about the stuff in the blue box either, though that is what my kids tend to prefer for whatever reason. In my opinion though, it doesn’t hold a candle to the real stuff. You know what I’m talking about, the stuff that your mama used to make. The down home cookin’ version of homemade mac n’ cheese. This version is loaded with three different kinds of cheese: cheddar, Gruyere and Havarti. Each bite is pure cheesy noodle bliss. How do you make the best Stovetop Mac and Cheese? A lot of recipes for homemade mac and cheese are for baked Mac and cheese, like this Jalapeño Popper Mac and Cheese. 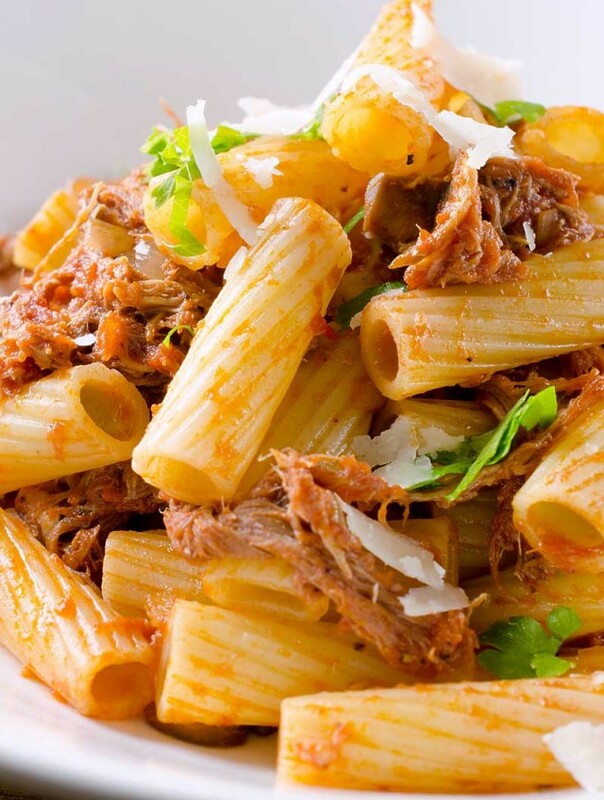 With this recipe, I seek to make things a bit easier by making it all on the stovetop. It really easy to make mac and cheese on the stove top. 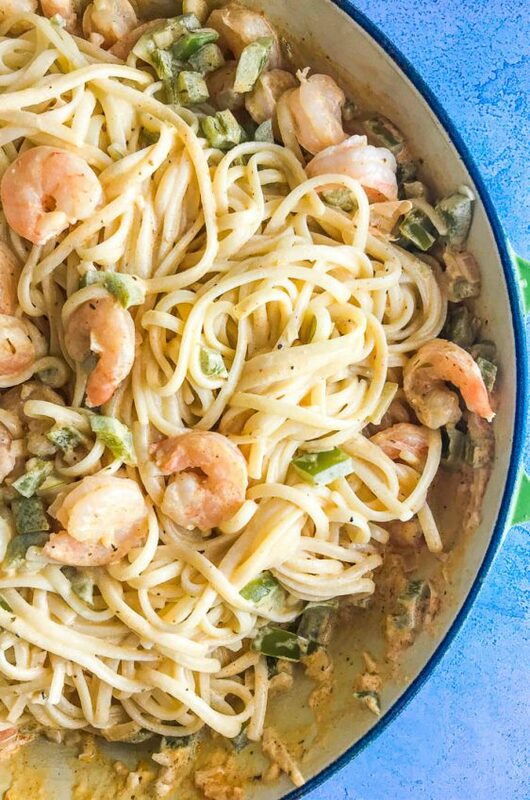 You simply need to make an easy cheese sauce and mix in the noodles. It really is that easy. How do you make a cheese sauce? To make a cheese sauce, you melt butter, whisk in flour and then slowly whisk in milk. Finally, once the milk is steaming, add in your cheese or cheeses of choice and cook until they melt. You will want to use good melting cheeses to make a smooth sauce. For this stovetop mac and cheese recipe, I use three different kinds of cheeses: Sharp cheddar, Havarti and Gruyere. Each one of these cheeses melts well and make a combination of delicious cheesy goodness. 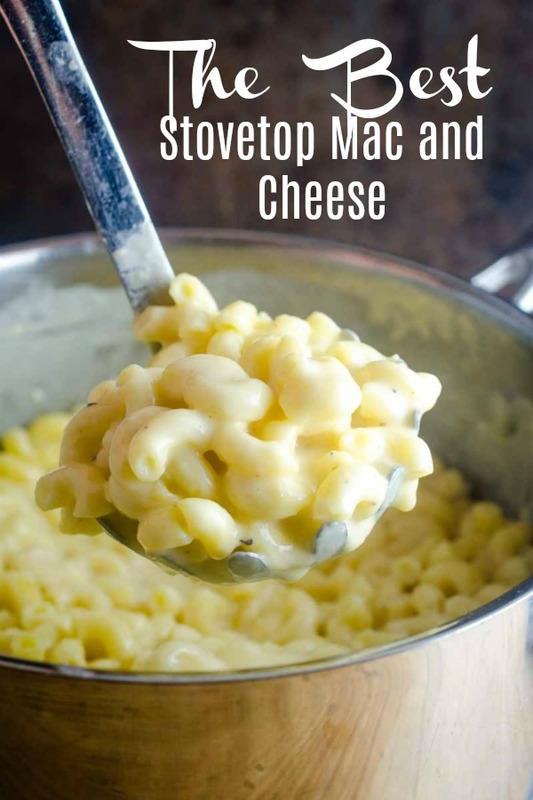 Other cheeses you could use when making stovetop mac and cheese include: medium cheddar, white cheddar, smoked gouda, fontina and mozzarella. Basically, once you have the technique down, making a cheese sauce for your macaroni and cheese is open to endless variations! Post originally published in 2009. Updated recipe and photo 2019. Boil pasta according to package directions. Strain. 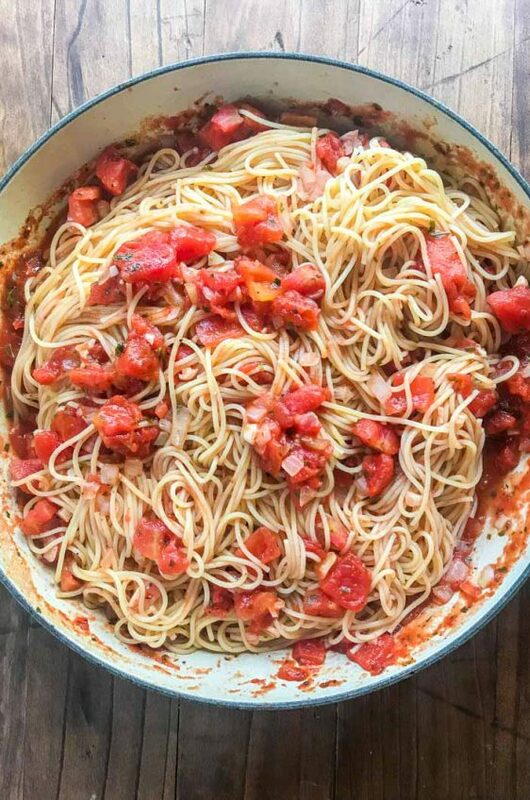 In the same pot that you boiled the pasta in, melt butter over medium heat. Once melted sprinkle with 2 tablespoons flour. Whisk until smooth, cook 1 minute. Slowly whisk milk into flour mixture and bring to a simmer but do not boil. Add in all three cheeses and stir until they melt. Stir in 1/2 teaspoon of seasoning salt and 1/4 teaspoon black pepper. Fold in cooked noodles. Cook 5 minutes. Let stand for 5 minutes. Stir and adjust seasoning if necessary. I love a good mac and cheese! I have to try this asap! So cheesy and creamy. YUM!! Looks insanely delicious! 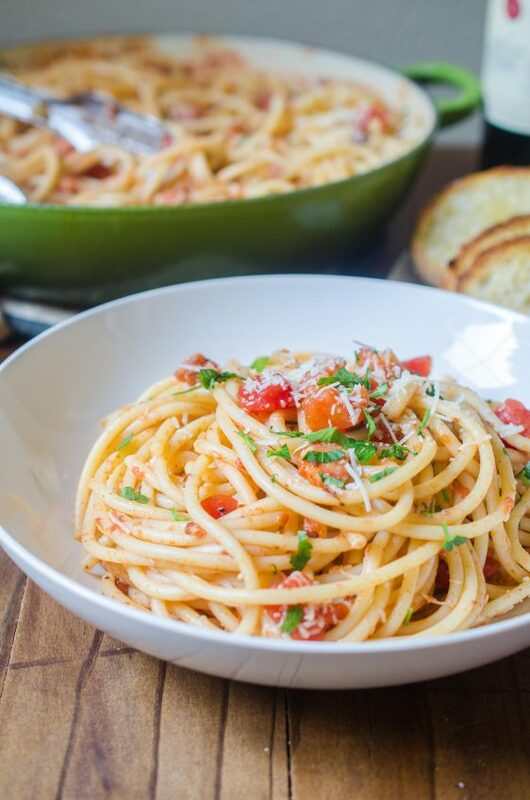 Ultimate comfort food side dish at it’s best, definitely making this! You had my attention at three cheese! Everything is better with more cheese! My daughter could live off of macaroni and cheese; it’s her absolute favorite. I’ll have to add this recipe to my arsenal of mac and cheese dinners! This came out very good….highly recommend it. Yum! 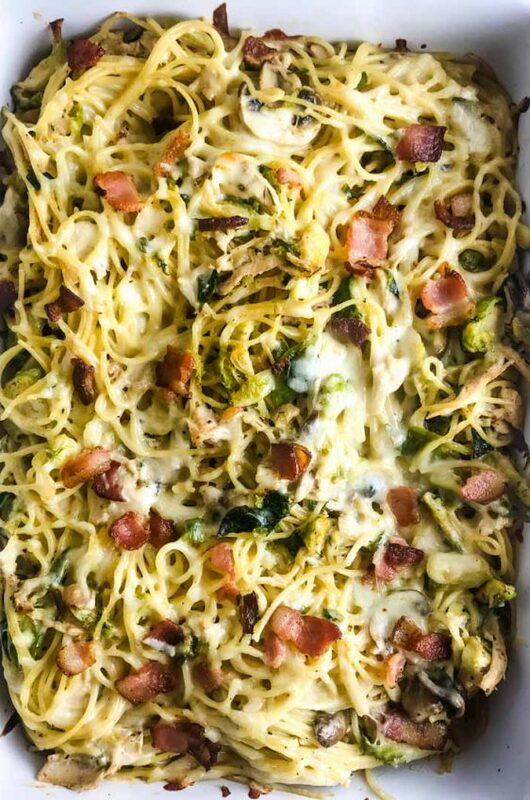 Made this for dinner tonight substituting extra Havarti for the Gruyere since that was all I had on hand, and it was amazing! I love mac and cheese and this looks great! oh yum i love mac and cheese too but cheese are too exp here..
Can’t go wrong throwing Havarti and Gruyere cheese in there. Great idea! This looks SO cheesy and good! 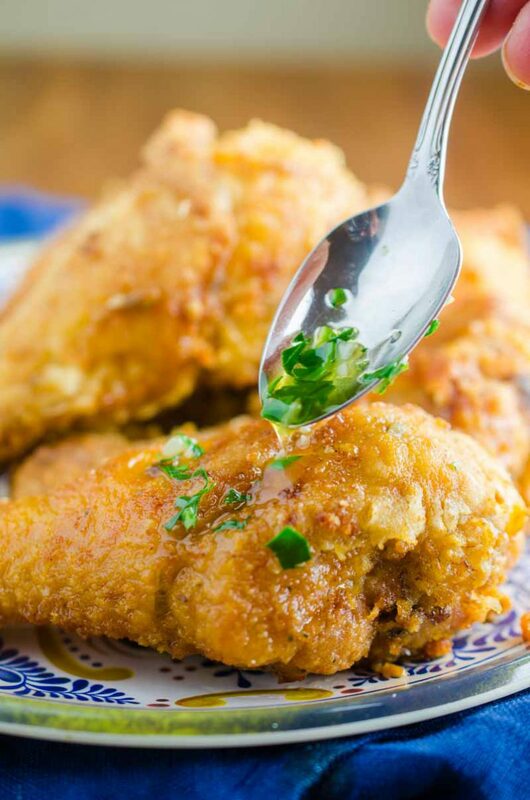 I love the idea of adding some chicken to round out the meal. I usually add ground beef and mushrooms to mine. Process and proportion-wise, this is very close to my mom’s recipe, and thus the same one I make when I need some comfort from food. Thanks especially for including the seasoned salt — I keep Lowry’s in the house for exactly one use: my mom’s stove-top noodles and cheese. 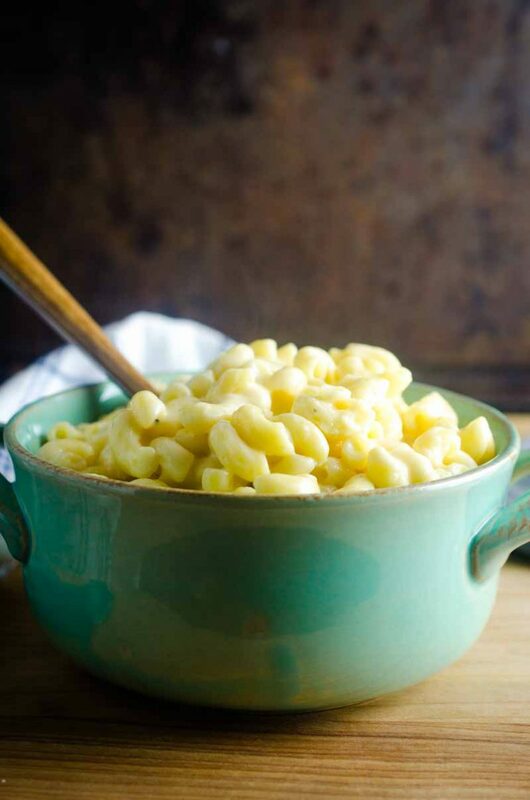 Mac and Cheese is one of my favorite comfort food dishes to make as well. I’ve never had havarti in mac & cheese, but I bet it’s delicious! This is my ultimate comfort food :). Cheese and Macroni, is by far the most easiest recipes (for bachelors and those who don’t like to cook). Thank you for your efforts. YUM!! 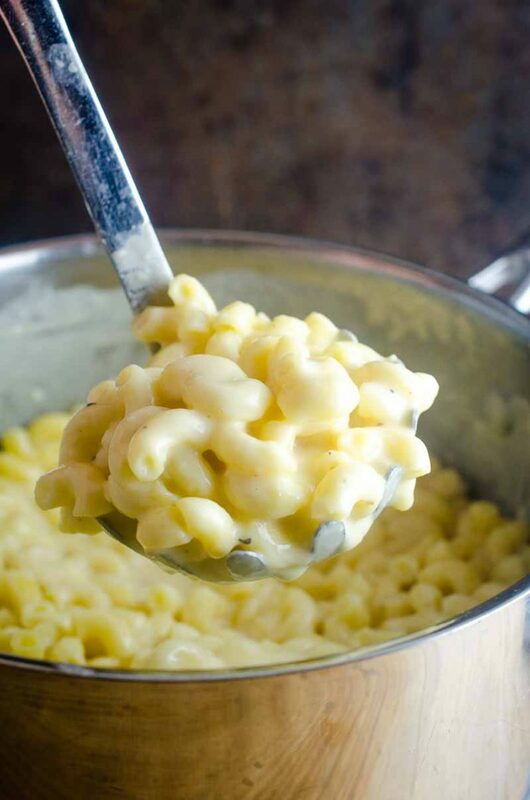 Great picture, it looks so inviting, I want to dive right into it :) I am a Mac & Cheese FIEND!!! I would eat it every day if I knew I wouldn’t gain 300lbs! Oh how I love mac & cheese! It might just be my all time favorite food. I’m planning to make some to go with our ham for Christmas dinner, and I like the blend of cheeses you’ve picked. Thanks for the inspiration!